I’m pleased to show off another prototype fabricated using the new Shapeways porcelain process, a print of the Little Dipper. There isn’t much that needs to be said here. 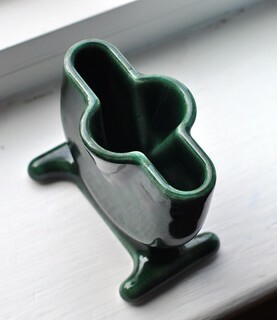 The object is basically identical in size and shape to the version printed using the old ceramic process. 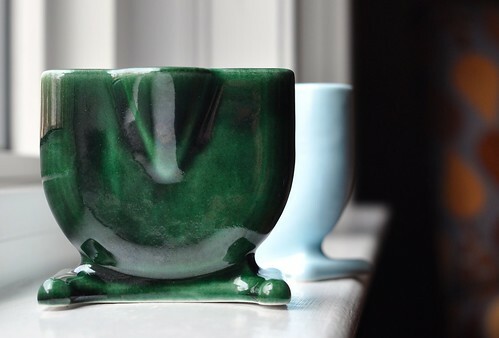 The main difference is the beautiful, deep, organic looking Oribe Green glaze. I’m loving the look of these new porcelain glazes, and look forward to seeing more of them from Shapeways. Of course, I’m also looking forward to them opening up the porcelain printing to all Shapeways customers! An empty cup? Someone get some milk and chocolate biscuits!